Núria Güell: La Feria de las FloresGuided tours by young women, showing works by Fernando Botero at the Museo de Antioquia, talking about their own traumatized experiences of sexual exploitation. The guided tours take place Mondays and Saturdays at 2 p.m. 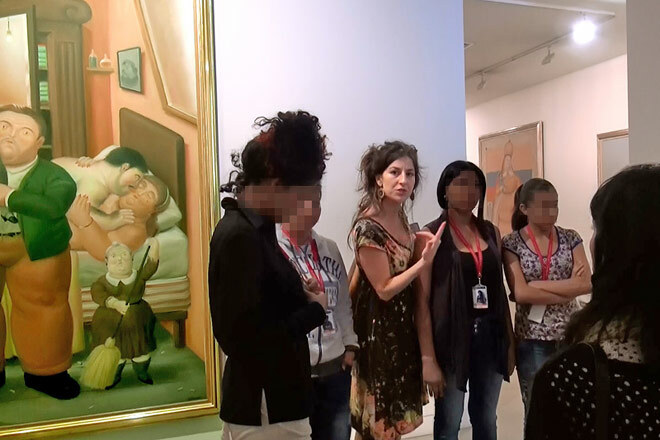 Guided tours by young women, showing works by Fernando Botero at the Museo de Antioquia, talking about their own traumatized experiences of sexual exploitation. Action part of the MDE15.